Yes, I cropped this and took a slight top off the persons head. Yes its not 100% straight. But I like it like this. 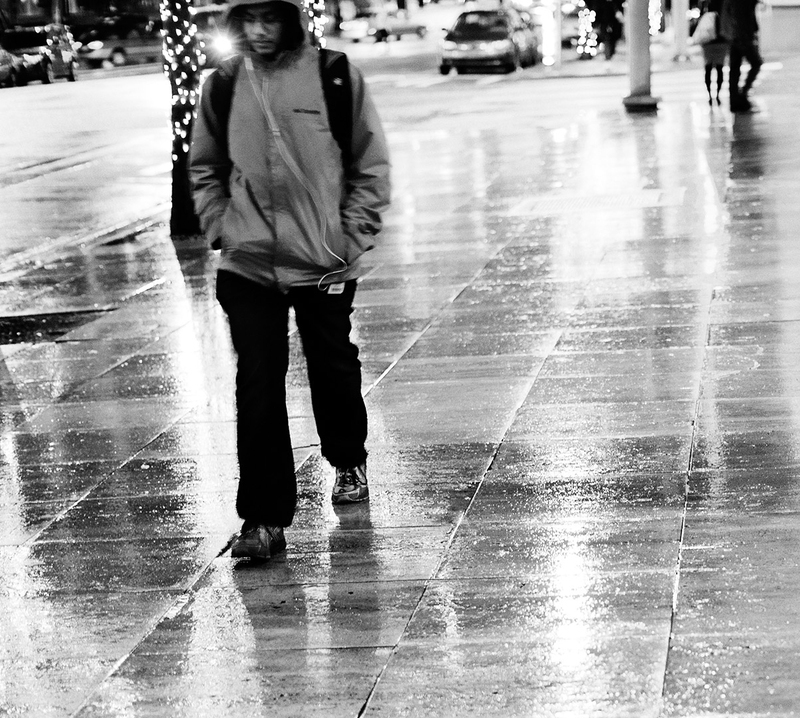 And I like it as black and white as it shows the rainy sidewalk off well.